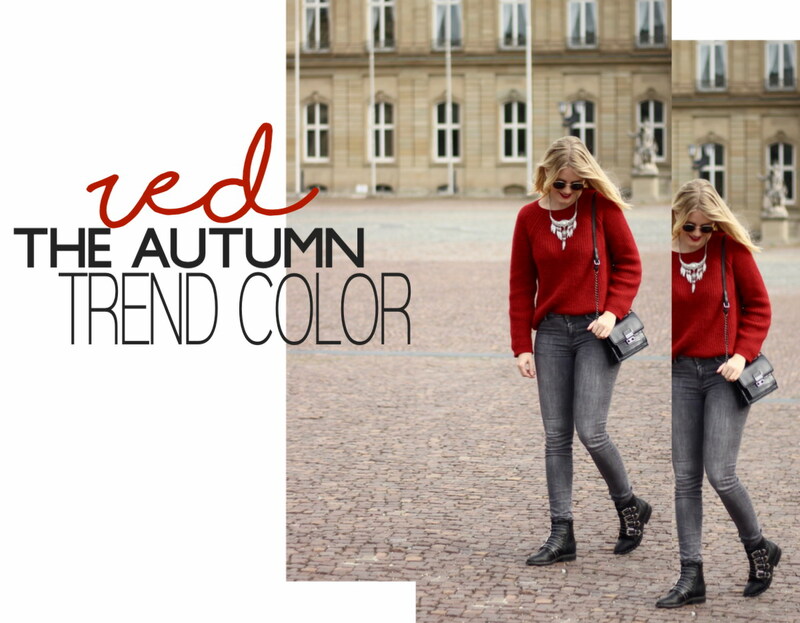 Im Editor Picks- und Inspirationsbeitrag zur Herbsttrendfarbe, habe ich euch bereits angedeutet, dass mir die Outfits mit roten Oversize-Pullover zu Jeans am besten gefallen. Leider besitze ich - noch - keine schöne hellblaue Mom-Jeans. Zu dieser hätte die Kombination nämlich auch gut gewirkt. Also habe ich inspiriert von diesem Look von Jecky von wantgetrepeat zur grauen Jeans gegriffen. Zusammen mit meinen super bequemen Givenchy Lookalike Biker Boots (gibts aktuell bei Deichmann, ganz unten im Beitrag sind sie verlinkt) ein extrem alltagstauglicher Uni-Look! Wie gefällt euch das Outfit? Seid ihr der Farbe Rot genauso verfallen wie ich? After showing you in this post the colour that we will all wear this autumn - red - I saw it in EVERY window and corner of all the shops in Stuttgart. Seems to be a perfect everyday and every person trend! Thanks god, I've lost my heart to the beautiful colour of red already years ago. Therefore I have already many pieces of it in my wardrobe - and suddenly they seem to be trendy, yay! 😏Today's outfit is one of my fave combos to the autumn trend colour red: grey, black and silver. 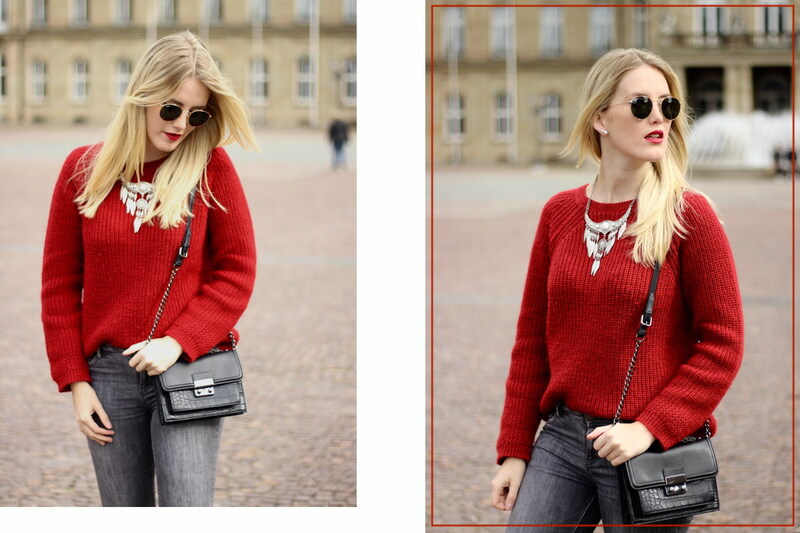 While writing the editor's picks and inspirational post about the autumn trend colour, I've recognized that I like the outfits with red oversize sweaters worn to jeans most. Unfortunately I - currently! - haven't a light blue mom jeans, which would look awesome to the red sweater. As a great alternative and inspired by this look of Jecky of wantgetrepeat I combined my red sweater to a grey jeans. With super comfy biker boots, that are the perfect Givenchy lookalike, this is a great look for everyday and university. What do you think about the look? Are you red-addicted as well? Das ist ein mega schönes Outfit, ich liebe derzeit kuschelige Pullover und das Rot finde ich mega gut mit dem Schwarz kombiniert - klasse!